Twenty-year-old Pekay Edwards heads into Puaikura’s final match against Hienghène Sport today full of pride for his club jersey and supporters back home. 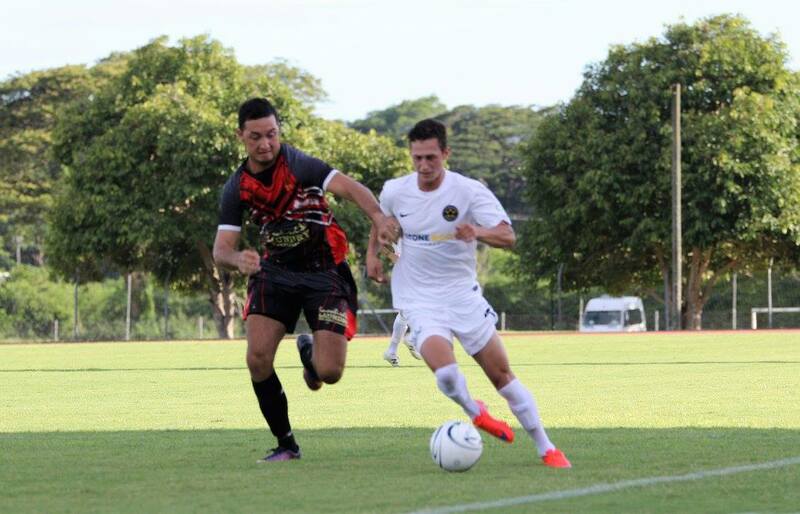 The Atiuan-born striker is one of the few home-grown players serving a key role on the team for their first OFC Champions League group stage campaign in Koné, New Caledonia. Edwards was also part of the team that won the OFC Champions League Qualifier event in Tonga earlier this year, netting twice in a 3-1 win over Utulei Youth that confirmed top spot. Even though his side is out of contention for a semi-final spot in the current tournament following their two losses to Team Wellington and Ba FC, the towering stalwart will be playing with passion to see the tournament through to the end. “It’s been hard not getting the wins but we will keep trying our best to keep the score as tight as possible against the host side,” he said. It is the first time since 2001 a Cook Islands club has played in a top level Oceania club competition and the first time ever one has earned a place in the group stage via the qualification tournamant. To be front and centre of this milestone has been a humbling experience for the young footballer. Now getting a taste of champions league football, he is driven to improve on his tactical skill set and hopefully see his team return for another shot in the tournament. “It’s another level up from the football we play back at home and I think we just need to keep coming back to these tournaments to get stronger and better each time,” Edwards said. Knowing full well what his team will be up against later today, Edwards is braced a possibly physical and fast-paced game given the style of football Hienghène plays. “It’s going to be a tough game especially playing the home team who will have the crowd support behind them, but we are determined to leave everything on the pitch,” Edwards said. Kick-off at Stade Yoshida in Kone, New Caledonia is at 8pm local time.